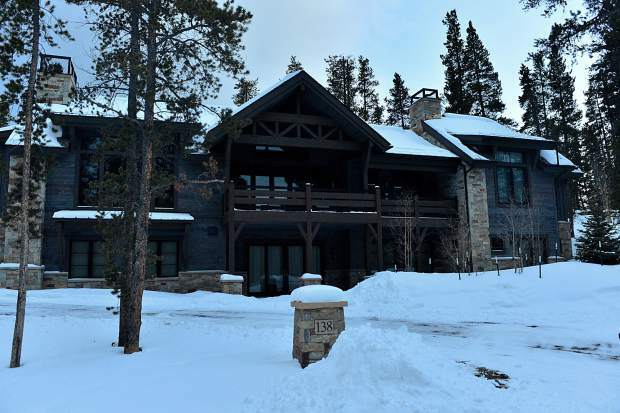 The five-bedroom luxury home at 138 Peerless Drive in Breckenridge’s Shock Hill neighborhood sold for $4.09 million in October, making it the most expensive residential real estate transaction of the month. A plush five-bedroom home with almost 5,000 square feet of space and three-and-a-half bathrooms sold for $4.09 million in October, the priciest residential real estate transaction of the month in Summit County. The home is nestled in Breckenridge’s Shock Hill neighborhood, which often produces some of the most expensive homes in Summit and is within easy walking distance to the gondola. It comes with exposed timber work, copious amounts of natural stone, an extravagant kitchen and high-end finishes, along with an office, two laundry rooms, a rec room and three fireplaces. Despite the blockbuster deal, Summit County’s real estate market saw slowing sales last month, but the decline couldn’t stop the annual residential sales volume from eclipsing the $1 billion mark in October for at least the second consecutive year. According to the latest market report produced by Slifer Smith & Frampton Real Estate, the county’s housing sales slipped 5 percent in October compared to the same month last year. With buyers closing on 224 residential properties worth over $170 million combined last month, the residential sales volume rose to $1.15 billion year to date, making at least the second straight year the county has broken the $1 billion barrier in the month of October. The local market has been buoyed by a record-breaking summer, in which local real estate agents sold a higher dollar volume than they ever have before, but the record sales volumes have also been tied to a shortage of available listings, which is in turn blamed for steeply rising housing prices. According to the Land Title Guarantee Company, there were only 466 residential properties and 185 parcels of vacant land for sale at the beginning of October and 449 residential listings and 168 parcels of vacant land in November. By contrast, there were over 1,200 available listings in November 2015, based on figures provided by Slifer Smith & Frampton. Additionally, the average sales price of a home in Summit County shot up 9 percent to $764,972 looking at just the last three months. Even though total sales volume is up 1 percent year to date, residential transactions are actually down 8 percent with 1,510 total sales compared to 1,639 at the same time last year. Most real estate firms use multiple-listing data to produce regular market reports. The data is a highly reliable method for measuring changes in the market, but the numbers don’t always line up perfectly with property records on file at the Summit County Assessor’s Office because of different reporting mechanisms. Still, both measures are showing the same trend. According to the assessor’s office, the county saw 286 property transactions worth $151 million combined in October 2015. The same month the following year, the number of sales dropped to 264. It shot back up to 324 in 2017, but then fell again to just 235 this year even though the sales volume was over $182 million. At the same time, land sales are nearly even with last year, with 146 so far in 2018 compared to 140 at the end of October 2017. Additionally, the luxury market — defined as housing sales at or over $1 million — continues to do well locally with 39 luxury homes selling in October and bringing the total number sold this year to 261, which represents a 9 percent increase in luxury transactions from 12 months ago, according to Slifer Smith & Frampton.